If you would like me to speak to your writer’s group or teach at a large-group or small-group retreat, contact me at rasley@juno.com. Here are some of the classes I teach. (I can also do most of these in an email or online forum format.) I can adapt these courses for any level of writing experience, from beginner to expert. Nature abhors perfection– and so does the story. Fiction, like nature, is all about change. So in a story, heroism requires more than being perfectly heroic, and even more than committing heroic acts. It also requires the ability to change under pressure, to grow into someone better even if it hurts. In this interactive workshop, we’ll explore how you can determine your own character’s heroic flaw, and use it to develop a meaningful opening, a powerful journey, and a dramatic and satisfying ending. In this interactive workshop, bestselling author Alicia Rasley will help you explore two “non-purple-prose” ways of creating a compelling emotional experience for your reader: Story Design and Scene Design. You will leave with some seriously useful (but easily applied) strategies to deepen your story and scenes, and you’ll have a chance to ask Alicia for advice on your own work. In Story Design, Alicia will explore how the entire book plot can be shaped to create emotion in the reader. She will guide you to find the event arrangement approach that’s best for you and your story. Interactive exercises using your own material will help you tighten and focus that approach to help maximize drama. In Scene Design, Alicia will zoom in on the building blocks of plot, the scenes, to help you learn not just to describe emotion in your scenes but to create emotion in your readers. Using scene design, body language, and the “magic rule of three,” you can learn to set up the reader for the emotion you will provide—without purple language or overwriting. You’ll also learn to help your readers “be” your characters within dramatic and intense scenes. Join us for an interactive, multimedia workshop which will help you discover useful solutions for the major problems writers face as they move beyond plotting into presentation. This friendly and conversational workshop will be helpful to the writer just starting out as well as the writer who has advanced enough to encounter sophisticated writing challenges! Determining the appropriate pace for your story. Macro-pacing 1: The Three Acts and how to pace them. Macro-pacing 2: The Turning Points and pacing. Mid-level Pacing: Designing scenes for pace. Prose and Pacing: Pacing up your language. 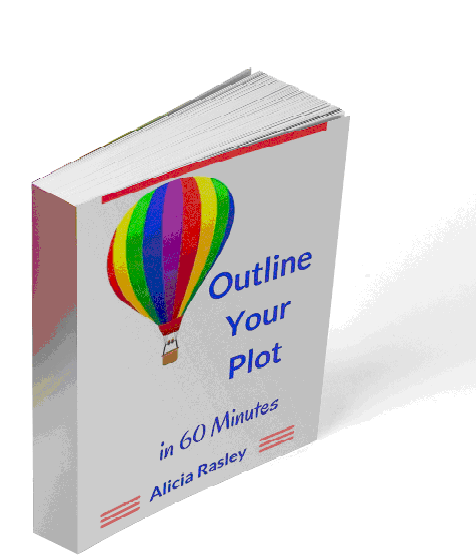 The exercises will be about your story, so you should have your own plot in mind. This will be useful for intermediate and advanced writers especially. Limitation as Liberation: Stop Thinking of POV as a Prison—It’s a Prism. Whenever readers and writers talk about why they particularly like a certain author, frequently they mention the author’s voice. How can you develop your voice into one that will resonate with readers? When does a strong voice become too strong? Should you try to change your natural voice? Do you even know what it is? During this class you’ll look at the essential elements of voice, your own as well as the voices of your characters, and how to use it to strengthen your writing as well as your individual brand. If the editors, agents, reviewers, and writers aren’t intrigued by your opening paragraph and page, they might not read any further! That’s one of the hardest truths about submitting fiction. If you’re close to submitting your proposal, here’s your chance to get feedback and revise. In this interactive workshop, we’ll work on crafting impressive openings that capture the attention while setting up the story conflict and previewing your unique voice. Alicia Rasley blogged the long-running “opening paragraph critique” for the Edittorrent blog, and will help you create a coherent and intriguing opening for your current story. In this interactive workshop, you’ll be exploring your main characters’ journeys, strengths, conflicts, and values. From these discussions and exercises, you can deepen your scenes and your plot with an emotional arc. And you’ll be able to individualize your plot events by determining where the characters start, where they end up, and how they get there through interacting with the other characters in the story events. Every exercise will apply directly to your own story, and Alicia will respond to each exercise individually with suggestions and feedback. Channel your characters, and deepen and individualize your story with insightful counsel! Other workshops- and, as you can see, I love to create new ones, so ask if you don’t see what you’re looking for! Alicia Rasley is a Rita-award-winning Amazon bestselling author who teaches other fiction writers how to write great stories. She is the author of The Power of Point of View and The Story Within Plotbook. Her novel The Year She Fell from Belle Books quickly became a Kindle bestseller, and her latest mystery from Bell Bridge Books is Until Death. Alicia’s Regency novels and writing books are also available in e-format at Amazon. After earning her MA in English Literature from Butler University, she now teaches English and writing at the university level.